Art created by Kellogg Community College’s Photography and Multimedia Program faculty will be on display at KCC this month for the College’s Photography & Multimedia Art Program Faculty Show. The exhibit will be free and open to the public for viewing during regular business hours from Nov. 9 through Dec. 11, and will be held in the Eleanor R. and Robert A. DeVries Gallery of KCC’s newly renovated Davidson Visual and Performing Arts Center. Business hours at the center, located on KCC’s campus at 450 North Ave., Battle Creek, are 8 a.m. to 4:30 p.m. Mondays through Fridays. An Opening Reception, which also will be free and open to the public, will be held in the gallery from 4 to 6 p.m. Thursday, Nov. 12, with light refreshments provided. The exhibit will showcase the works of approximately 10 faculty artists at the College representing multiple visual arts disciplines, which in the past have included painting, drawing, printmaking, sculpture, ceramics, photography, mixed-media, animation, textile and craft arts. 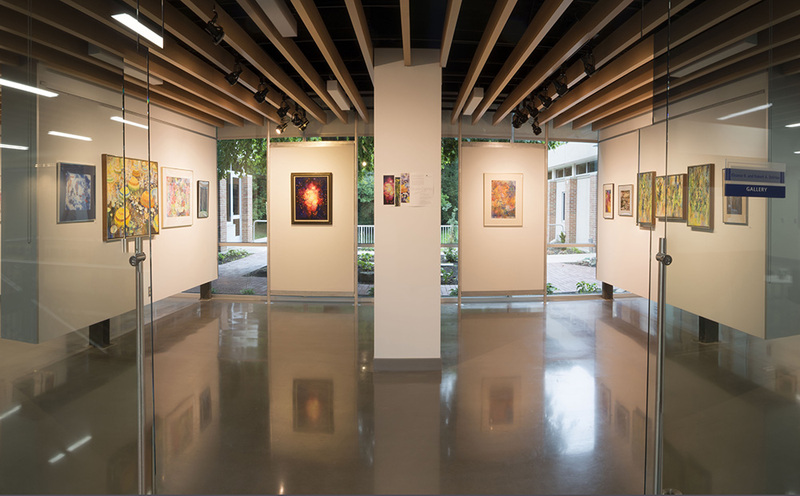 It will be just the second exhibit displayed in the DeVries Gallery since renovations to the Davidson Center were completed late this summer, which included a relocation of the gallery and an expansion that added additional exhibit space. The new gallery first housed “A Brush with Life,” a mixed media exhibit of works created by Eleanor DeVries, one of the galleries namesakes, through Oct. 30. For more information about the Photography & Multimedia Art Program Faculty Show, contact Photography and Multimedia Program coordinator, gallery director and art professor Ryan Flathau at 269-965-3931 ext. 2559 or flathaur@kellogg.edu. The above photo of the new Eleanor R. and Robert A. DeVries Gallery is courtesy of Ryan Flathau.